Sometimes, when we project a robot, the wheels are the hardest components to find… They are also sometimes hard to adapt to the motors/servos. This is why I decided to show you the wheels I made to my XMasRobot. The idea was to recycle some objects I had laying down the lab and had no destination. Firstly, you need to get these covers. They can be found in drugstores, chinese stores, etc … Just search for it, they are easy to find. Now use the compass to draw a circle that we will drill too. This step is as important as the last one, so do this with care to minimize the deviations. 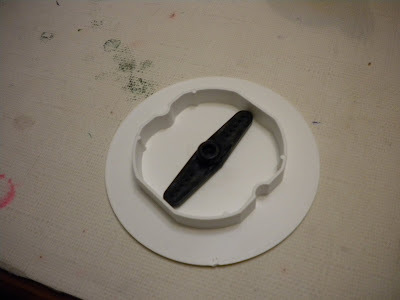 Put the servo’s “arm” in the center and mark two points where we will drill the plastic. These are the places where he will put the screws. Mark them with care, it is important to put the “arm” in the center, otherwise we will have off-center wheels and the robot will look strange while walking. With a “hobby-drill” (like Dremel), make the holes carefully. Also drill where we grab the “arm” of the servo. At this stage, you will need to decide which part of the cover you want to be visible. I decided to fix the servo’s arm the way you see in the picture. You may say you were thinking of doing it the opposite way, but later you will understand. It’s time to set the “arm” of the servo to the cover. In my case, I held the “arm” as you see in the picture, then set them with the screwdriver. Screws easily open the hole in the plastic “arm” of the servo. By now, we have wheels that can be easily adapted to servos. But they miss some traction. If we decided to stop here, it was very probable that they would slip. They are perfect to increase the traction of these wheels, because as was said, plastic had little contact with the ground. 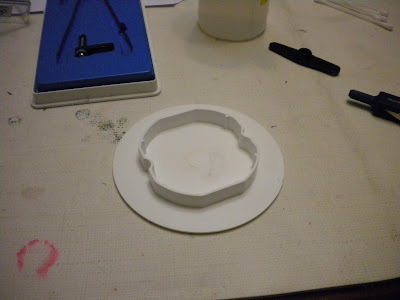 Little by little, set the rubber around the cover, with hot glue. Patience … is the key to perfection. Remember: a little goes a long way. When you finish the pasting, you should reinforce the inside with a little hot glue. Well, we are in a good way, they seem to me almost like wheels. But they lack something. The uglier part is still the outside. We need to fix that. Upgrade #2 – Double it! Get more covers and repeat the above procedures, except the part of the servo’s “arm”. Cut two little cubes for each cover, to make height between two. 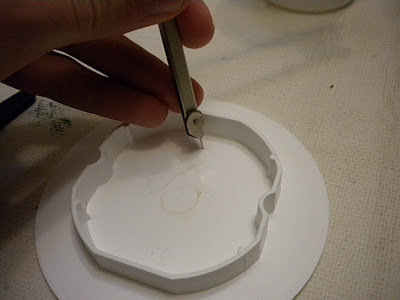 You can screw, or use hot glue to set the cubes to the wheel that has the servo’s “arm”. Tip: first do a little hole in the cubes and let the screw do the rest while it enters this hole. Try to do that so that the wheels remain aligned and have the least possible distance between them.